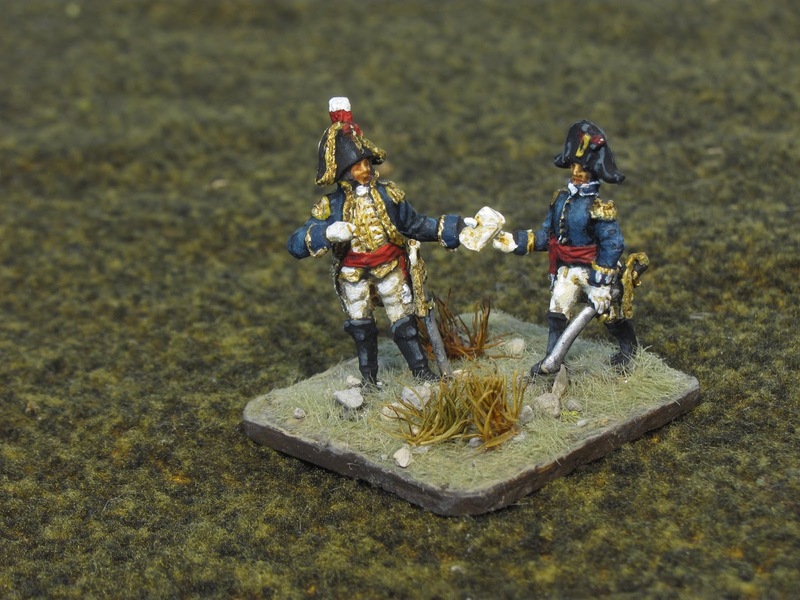 Anyone who collects 1/72 Napoleonic miniatures knows that British and Portuguese staff figures are hard to come by. 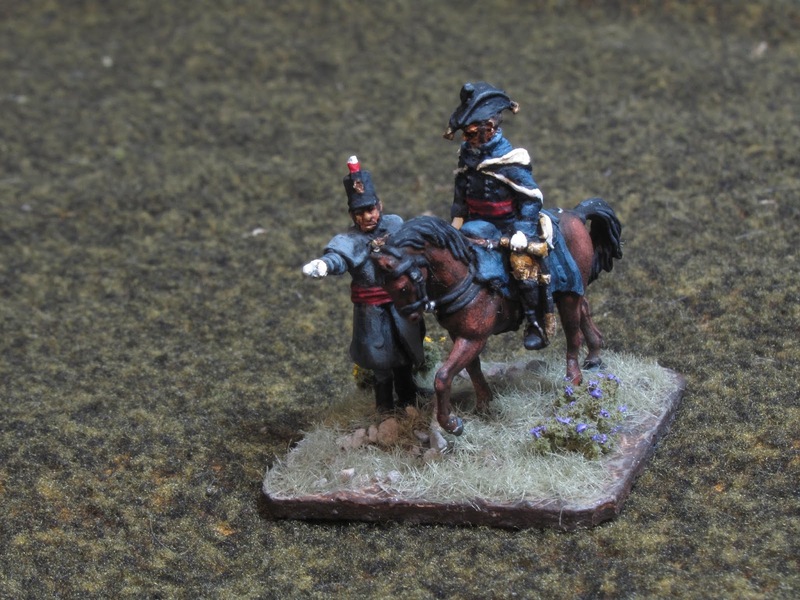 Eager to try my hand at creating a figure for Wellington, I committed the greatest heresy possible and decided to use a mounted Napoleon figure from the Italeri French command set as my starting point! 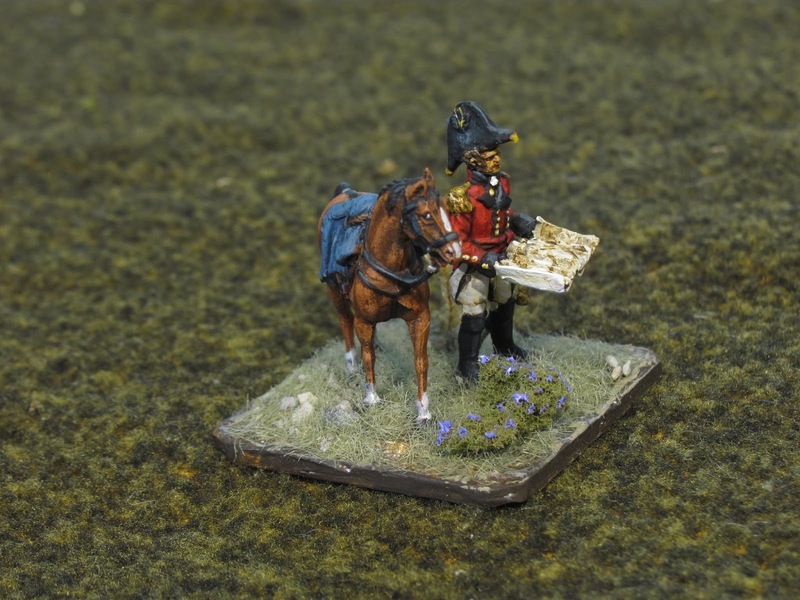 I went on to convert some other figures to generic British generals as well. Very successful conversion, in my view. Thanks for sharing. Super stuff Bill as always. Inspirational to swap his Majesty for his nemesis ! Very good and interesting figures, Bill! I am impressed! Nice works - well choosen, composed and painted! Want to see still more of it! Great conversions and excellent paintjob, Bill. There is a real scarcity of British staff officers but you've filled the gap very nicely here. Good conversions and great painting, the horses look really good. And it must be very satisfying to have such an individual looking Wellington. I have no knowledge of historical correctness. You can show me everything if it look like Nappy time. 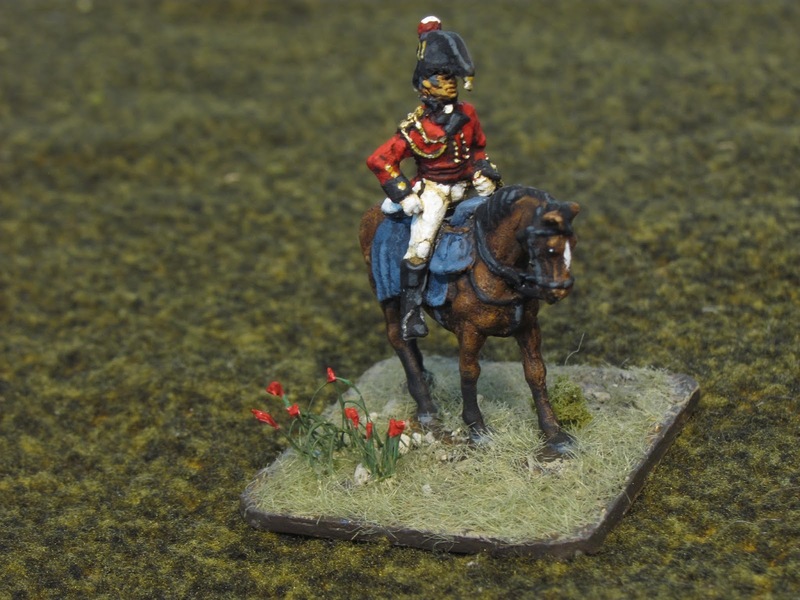 But painting of the figures,horses with all these fine details and the bases with flowers are fantastic done !